Dr. Andrew Schneider is a graduate of Temple University School of Podiatric Medicine and completed a comprehensive residency at the Veterans Affairs Medical Center in East Orange, NJ. He is a board certified podiatrist and serves on the Board of Trustees of the American Academy of Podiatric Practice Management. He has been in private practice at Tanglewood Foot Specialists since 1998. Dr. Schneider is a consultant for several running and triathlon clubs around Houston and treats athletes in all sports, working with them to minimize or eliminate time away from activity. Physicians throughout the city rely on his knowledge and skill in the area of biomechanics and orthotics and regularly send their own patients to him. He has become a resource for other podiatrists to refer their more challenging orthotics and brace cases as well. To give back to the community, he volunteers at the San Jose Clinic, providing foot and ankle care to those working without access to health care. Dr. Schneider is a recognized expert in utilizing technology, the internet, and social media for the use in medical and professional practices. He writes extensively and lectures internationally on the topic. 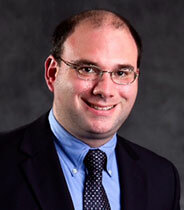 He is the co-author of Social Media for the Health Care Profession from Greenbranch Publishing.